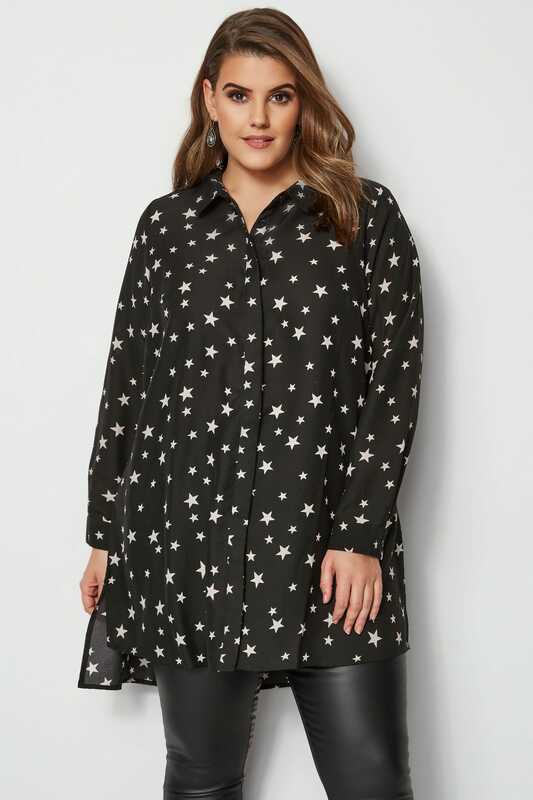 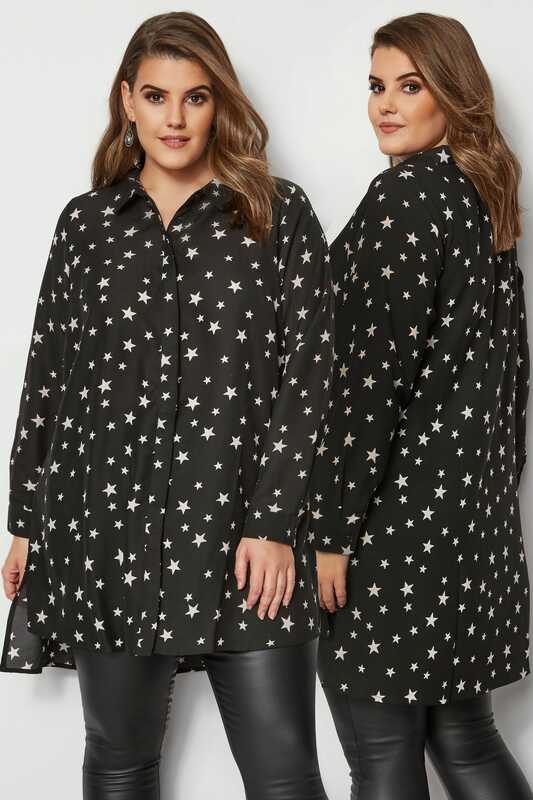 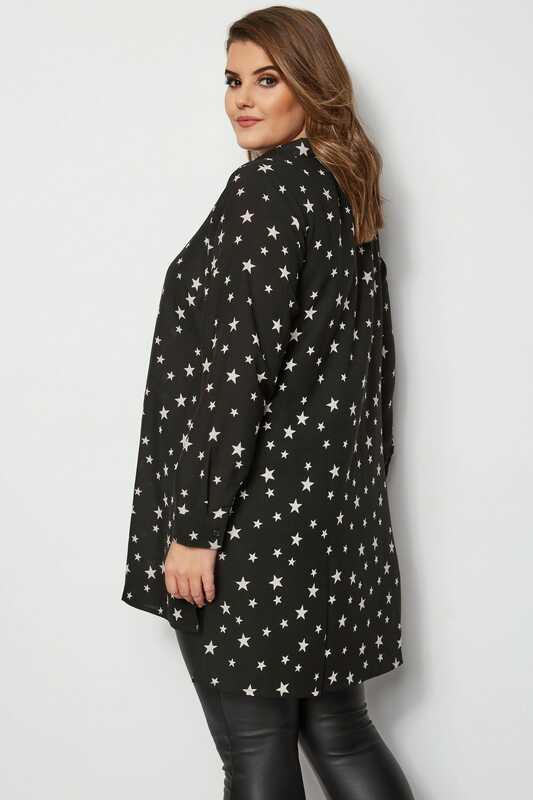 Front length from (approx): 85cm/33"
Back length from (approx): 91cm/35.5"
Stay on-trend with this chic star print shirt from Yours London. 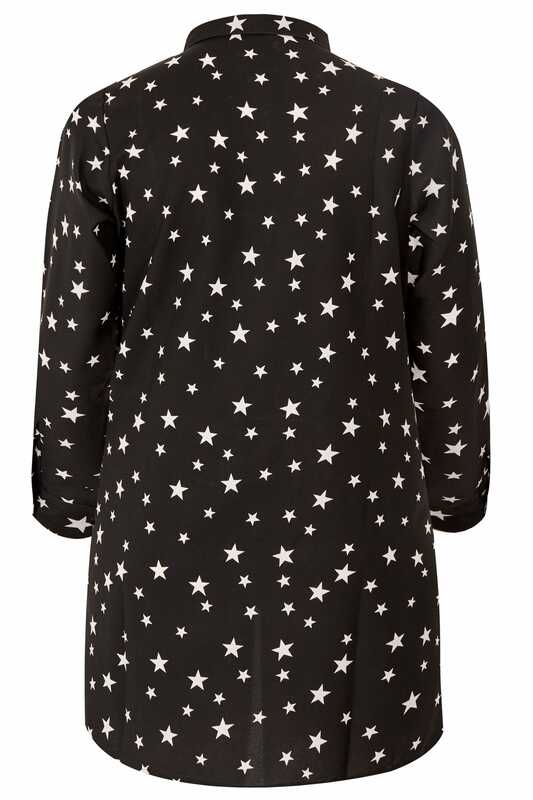 Woven from a lightweight chiffon fabric, it features long cuffed sleeves and a button through fastening. 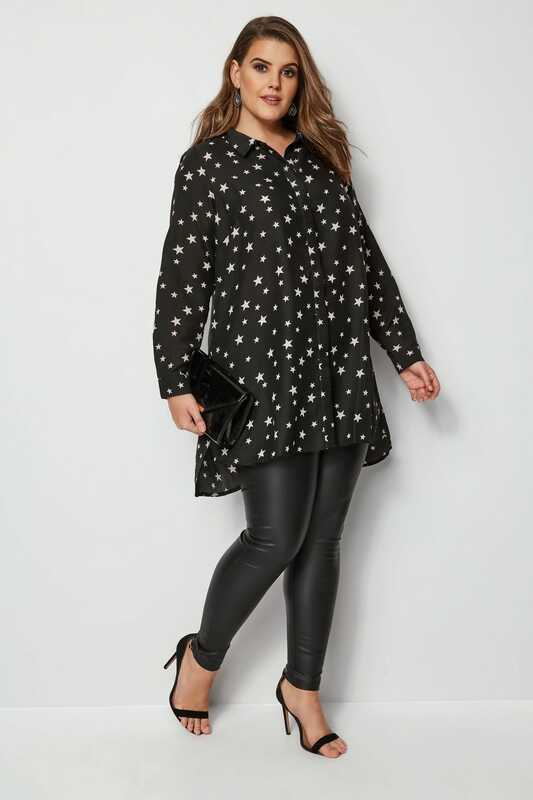 For a simple evening look, style with sleek black trousers and a pair of mules. 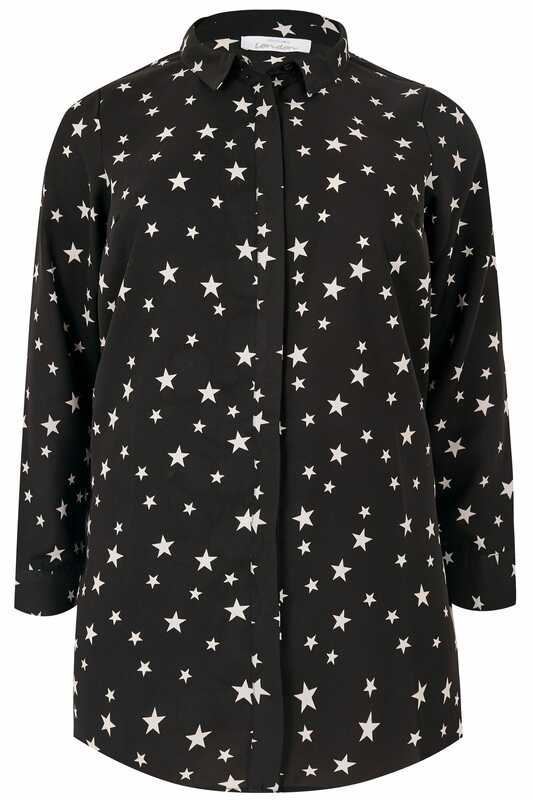 Totally on-trend and easy-to-wear, this shirt is a must-have for your wardrobe this season.